GLF Environmental Inc. is the provider for all our solid waste collection and disposal – recycling, organic (green/compostable) waste and garbage/landfill items. 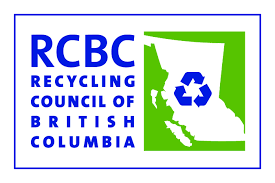 In August 2014, Smithrite (now GFL Environmental) was contracted by the Village to provide collection of our garbage and organic waste; and contracted by Multi Materials BC (MMBC), who manages all our recycling collection, for the collection of our recycling waste. Organic and garbage is collected using the lockable large grey/green containers, and recycling is collected using the blue bins and yellow bags. Remember to unlock your containers on pick up day, and to clean them out regularly. Diversion rate refers to the percent of waste that is ‘diverted’ from the landfill to be either composted or recycled. Our goal is to bring landfill waste to zero. There are a number of resources available to educate our community on what can be recycled or composted and even more organizations ready to assist with the recycling or composting of these items. Click on the logos below to be directed to their websites. The Metro Vancouver Coquitlam Transfer Station can accept excess recycling and composting (cost applies). Visit their website for more information. Need a new garbage or organics cart or a repair? Contact Village Hall. Need new recycling containers? Contact GFL at: 604 529 4030. For all other collection questions, please contact GFL at: 604 529 4030 or visit their website. PLEASE DO NOT CONTACT THE VILLAGE FOR RECYCLING RELATED QUESTIONS OR COMMENTS. Click HERE to view the 2019 Waste Collection Schedule.